I usually don't spend too much money on high-end mascaras because I know there are so many drugstore versions out there that are just as good. Whereas I will spend more money on lip products and eyeshadow palettes. However, one of my favourite mascaras is Yves Saint Laurent's "Babydoll" mascara. 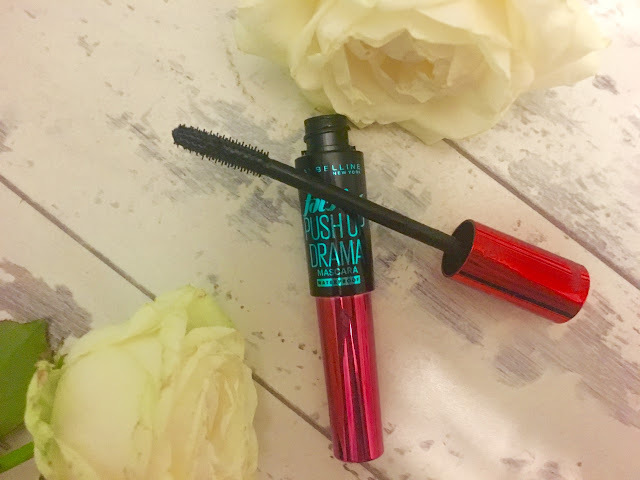 I have always wanted to try a YSL mascara and I love wearing this mascara for special occasions; however, I do not wear it every day because it is quite expensive at £25. With just one stroke the synthetic one magnifies the eyes and gives volume. The multifaceted brush alternates thick widely spaced bristle to coat and magnify the lashes, while finer bristles define the eyelashes. I only have to apply one layer of mascara to my lashes to make them look more defined and longer. The wand is also flexible which helps me to coat every lash, even the annoying ones near the inner corner of the eye. Usually, I will apply two coats to my lashes to give me a more dramatic look; or I will wear one coat for a more natural look. This also lasts a really long time and I never have to touch up my mascara when I am wearing this out. I really like the smell of the mascara, because it is slightly perfumed, which does make it feel a bit more luxurious when I am applying it. Also, this tube of mascara looks amazing on anyone's nightstand with the gold packaging and is definitely a luxury item. For so long, all I ever heard about was how great Benefit's "they're Real" was. It was a real toss up between this mascara and Benefit's Roller Lash, however this mascara is the one that I have been using for the last couple of years and it has always been repurchased when I have ran out of it. 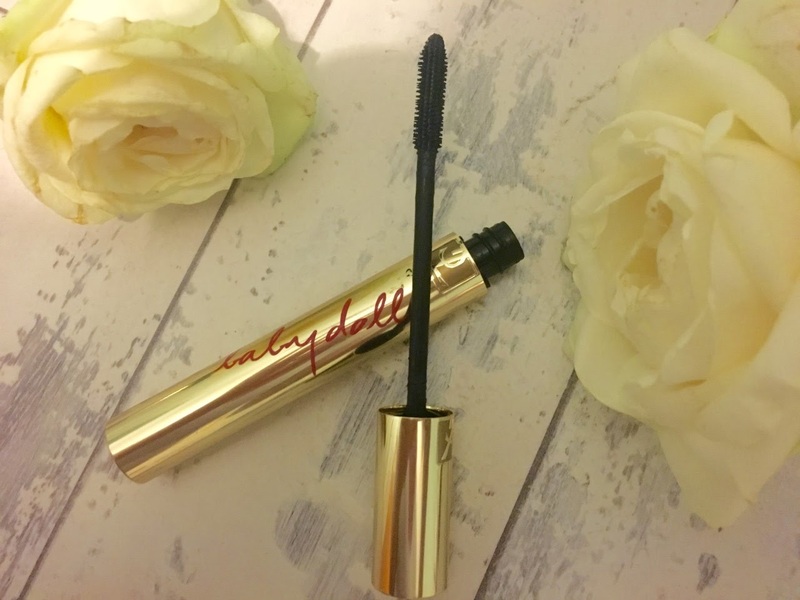 This mascara helps to lengthen, curl, volumise, lift and separate my eyelashes. As well I find that it does not clump my lashes together, and I find that it won't smudge at all. This is also long-wearing and I only have to apply one coat to get a really dramatic look. I really like the wand as it has larger and small bristles to make sure that every lash is fully coated. Also it has bristles at the bottom of the wand which means you can apply the mascara vertically to help separate the lashes if they do clump together. I cannot wear false lashes because they are usually too dramatic for me and don't look really good on me, however, when I wear this mascara people have commented on whether I am wearing false lashes or not. I think with this mascara you only need one coat, as I have found in the past that sometimes two coats can clump your lashes together. 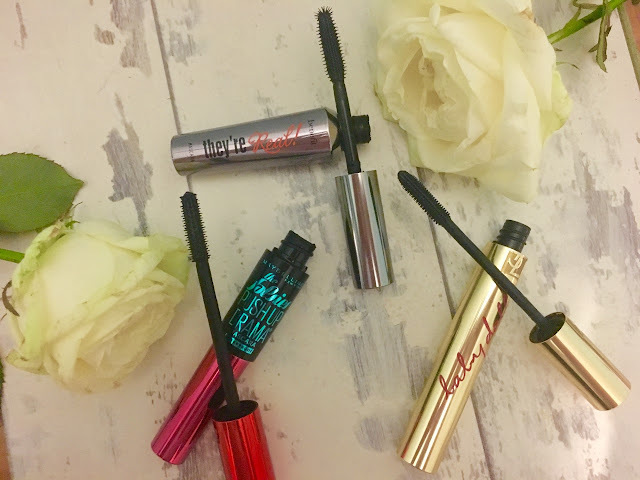 This product was also in the Vogue 100 Beauty Hall of Fame this year, which just shows how great this mascara is, as well as all the awards they have won over the years. 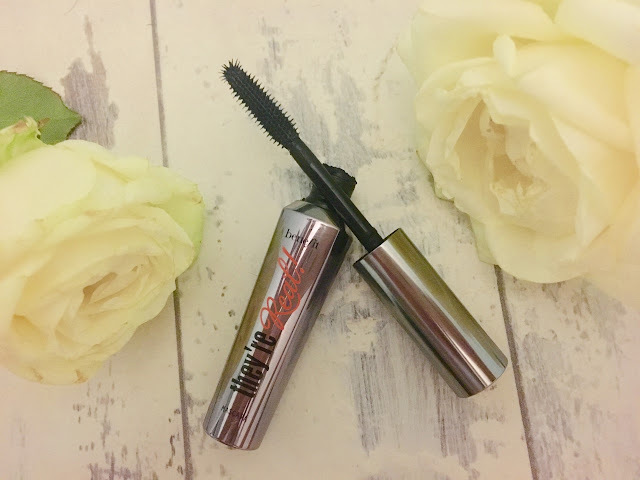 This is definitely an investment piece as it does cost £19.50, however, there are alternative drugstore versions that work just as well as this mascara. As I have chosen two high-end mascaras, I have also decided to include a drugstore mascara as well. I have so many drugstore mascaras in my collection and I am always trying new mascaras but this Maybelline "the falsies Push Up Drama" is one of my favourite, and is the one that I always keep repurchasing. As much as I love my Yves Saint Laurent and Benefit mascara, this is one of my all time favourites does almost the same job as the more expensive brands. I currently have the waterproof version as I really needed a waterproof version and I am so impressed. I have worn this when I have been crying and when I have been swimming and it does not budge and it stays on my lashes all day. This is meant to plump and volumise the look of lashes, and I have definitely noticed a difference when I have used this mascara. I really like the synthetic brush and it is fairly flexible which means it is easier to coat every lash. It goes on really easily and you can easily build up layers to achieve your desired look. The only thing that I have noticed is that it will at first clump your lashes together rather than separate them. However, once they have dried I have noticed that it doesn't look as bad. I have never used this on my bottom lashes just because I have fairly long lashes anyway and when I use mascara on my bottom lashes it looks absolutely ridiculous. If you are looking for a mascara that acts similar to They're Real or Babydoll then I would definitely suggest buying this Maybelline one, as I notice the same effects as the higher end products but is less expensive. This is definitely one of my favourite drugstore mascaras and is a lot less expensive that other mascaras in my collection. If you have been wanting to try Benefit's They're Real, I would suggest buying this mascara as I believe it is a dupe of the benefit mascara. 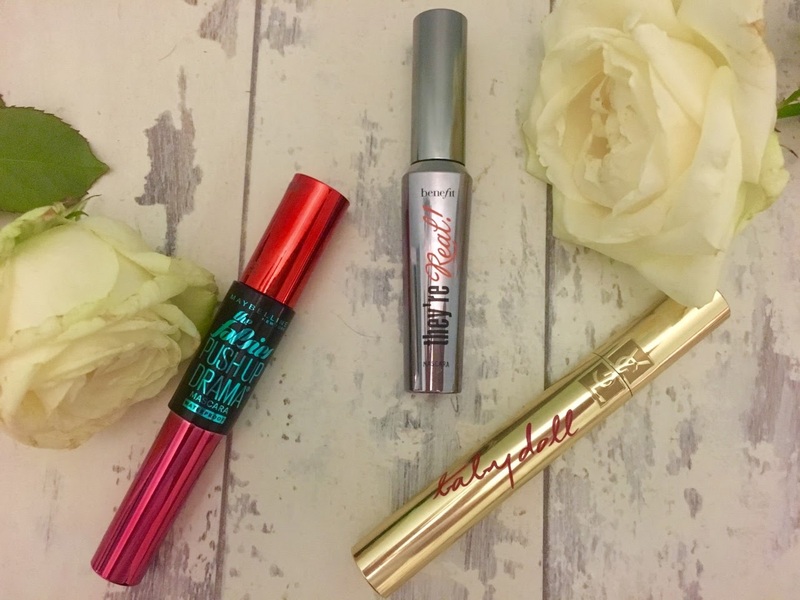 Overall, even though I love YSL and Benefit, my absolute favourite mascara at the moment would have to be Maybelline the falsies. I just find it is the one that I grab the most and it does exactly the same as what they're real does and is less expensive than the higher end mascaras out there and is just as good as them! !